For snowmobilers, Cranbrook is one of the best spots to visit in the Kootenay Rockies. While places like Revelstoke have reputations that attract an abundance of riders, Cranbrook boasts very popular trails that give their more limited number of visitors the chance for fresh, untouched snow. Cranbrook has three main areas for sledding. The first, and the most popular is Lumberton. Lumberton showcases 50 kilometers of groomed riding trail, and multiple routes jutting off the main path leading to different terrain. Its popularity comes from its offering of a multitude of different trails for snowmobilers of all skill levels. Lumberton is a 25-minute drive from Cranbrook and has a $20 per person, per day cost, or a fee of $100 for an annual pass. This fee goes to the Cranbrook Snowmobile Club, who maintains and grooms the trails for everyone’s enjoyment. Trail passes or memberships can be purchased online with the Cranbrook Snowmobile Club, and at select stores in Cranbrook including All Seasons Motor Sports, Peak Performance Motorsports, Mulisha Small Engine Repair, and Western Financial Insurance (Baker St. & Tamarack Mall). The other two areas for sledding are Perry Creek and Wild Horse. These areas do offer terrain with varying difficulty, however, neither are maintained by the Cranbrook Snowmobile Club and they bring with them more risk. Both are top picks for locals who are familiar with the areas, but riders are likely to encounter more difficult terrain and higher avalanche risk. In all three areas, there are Caribou Closures that should not be disturbed. All riders are asked to check information on Avalanche conditions through Canadian Avalanche Centre before heading out on the sleds. 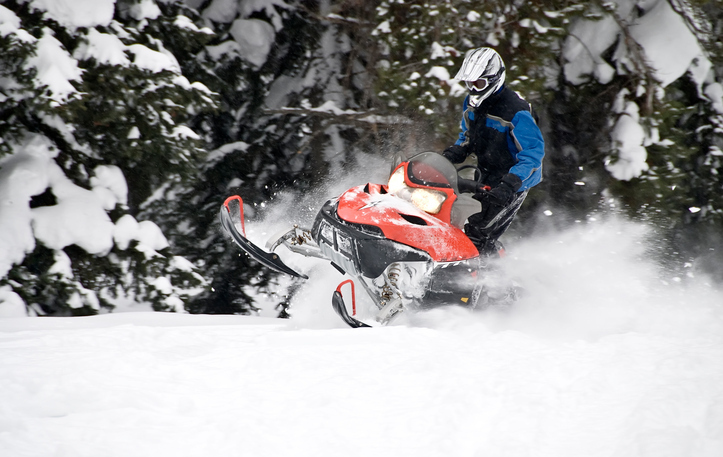 For more information about snowmobiling in the Cranbrook area, please visit SnoRidersWest by clicking here. This winter at the Heritage Inn Hotel & Convention Centre Cranbrook, we will be offering a discounted guest room rate for all snowmobile enthusiasts. Please call the hotel directly at 250-489-4301 or toll-free 1-888-888-4374 and ask about our special 'SLED' room rate.